Many fleet managers find issues with some lift gate battery units going dead on vehicles. This "Dead Battery" issue is because when the vehicle is not being used, the auxiallary battery doesn't receive any charging from the altenator. Many lift gate systems drain power even when down in use. This can lead to a dead battery when the driver starts to use the lift gate at the first stops of their day. 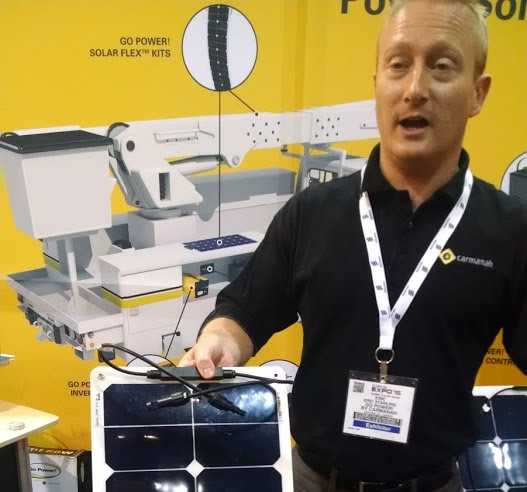 Installing a solar flex panel on the vehicles in your fleet can create a reliable solution to these and other battery charging issues. Call our offices at 1-866-574-4983 for more information on this and other common fleet power issues.